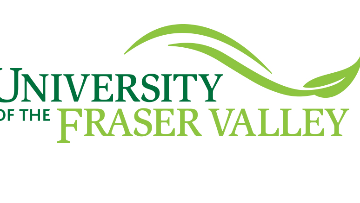 The University of the Fraser Valley (UFV) is nationally recognized for its emphasis on teaching excellence, experiential and applied education, community engagement and Indigenization. UFV is the school of choice for over 15,000 students. With six campuses and centers, UFV offers undergraduate and graduate programs in the arts, sciences, and professional studies, as well as trades and technology education, university preparation and continuing education. The School of Health Studies, located in Chilliwack, British Columbia, invites applications from qualified individuals for one (1) full-time (100%), permanent faculty position in the BSN program. Classroom and laboratory teaching occurs on the Chilliwack campus of UFV. Hospitals, institutions and health care agencies in Langley, Abbotsford, Chilliwack and Mission provide the primary sites for student clinical experiences. We seek applicants who are committed to excellence in undergraduate teaching in a student-centered environment and have an interest in scholarly and research activities that contribute to evidence informed curriculum and an innovative and positive teaching and learning environment. Simulation learning, inter-disciplinary initiatives, and aboriginal health are ongoing priorities for curriculum integration and development. Participation on departmental and institutional committees, service contributions, and ongoing professional development is an expectation. Practicing licensure as a registered nurse with BCCNP. Baccalaureate degree in Nursing and a Master’s degree in Nursing or related field (current enrolment in a Master’s Program will be considered). Doctoral preparation preferred. Strong, current clinical practice foundation in acute surgical nursing. Highly developed communication, collaboration and interpersonal skills. Previous successful experience with classroom and/or clinical teaching in a BSN program. Experience in curriculum development and community service are assets. Evidence of nursing scholarship and interest in future opportunities for scholarship. Shortlisted applicants may be required to undergo a criminal record check. All qualified candidates are encouraged to apply; however, Canadians and permanent residents will be given priority. In an effort to be both environmentally and fiscally responsible, UFV will contact only candidates receiving an interview. We thank all applicants for considering UFV for employment. UFV is committed to the principle of equity in employment.